Over the last twelve months I've developed a real fondness for Tetris-style games. It all kicked off with Puyo Puyo Tetris, Tricky Towers and the magnificent Tetris Effect. Now, I keenly keep an eye out for new releases of the genre, especially those with gameplay twists. Treasure Stacks feels good to play, but the non-existent online community and the very small gameplay loop holds it back from lasting long in the memory. The gameplay is deceptively simple. In pairs, blocks fall from the ceiling. The majority will be treasure chests in an assortment of colours – green, blue, brown and purple. 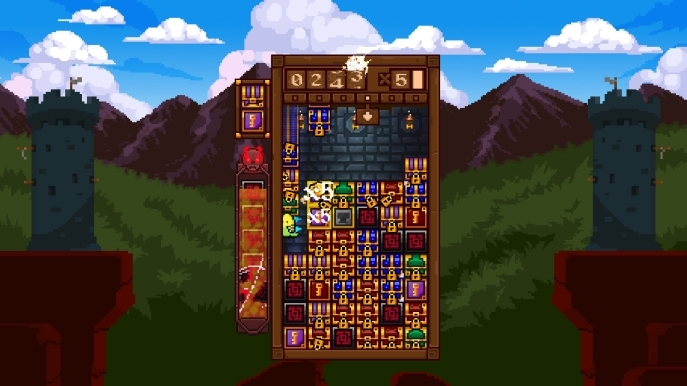 You will want to arrange these chests by colour, as when a key of the same colour drops you can use it to open and clear all that are connected. As ever, when you breach the top of the board you lose. You control a character that runs around the board. 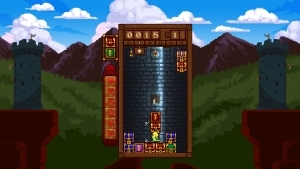 You can pick up chests in any vertical quantity and have a grappling hook that can grab newly falling pieces. The movement initially feels a little slow but once you get into the groove of things, it feels appropriate. For example, you can jump but only one block high. If you are blocked left and right, you pick up the chests next to you and fling yourself to the top but putting them all back down. 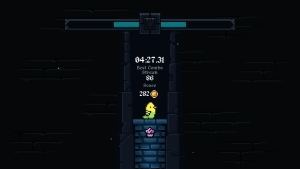 There are three items that occasionally drop: a scythe that removes a horizontal line, an anvil that remove a vertical line, and a bomb that removes an area of effect around it. These are genuinely helpful; the game gets to a point where blocks are dropping so fast it's difficult to keep track of everything and it's a swift release. On the opposite side, something to make the game more challenging are blocks that invade your board every now and then. The counter on the left hand side gradually builds up and however many blocks are in it when the lava reaches the top get teleported to your game. 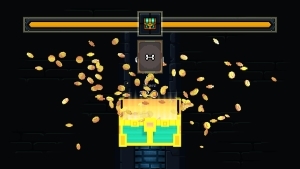 You can only remove these by opening chests near them. This is all well and good but there isn't all that much more to the game. It's engaging and fun for a few rounds at a time. However, for a single player, this is pretty much it. 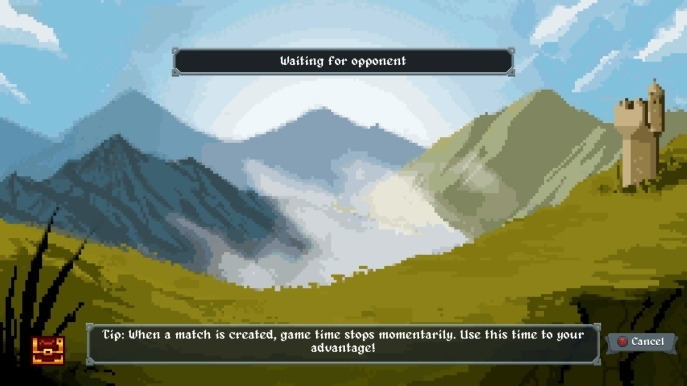 There is an online mode which, judging by its presentation, was made assuming the game would be far more popular than it is. I've had the game for ten or so days and have been unable to find even one game online – both ranked and casual. 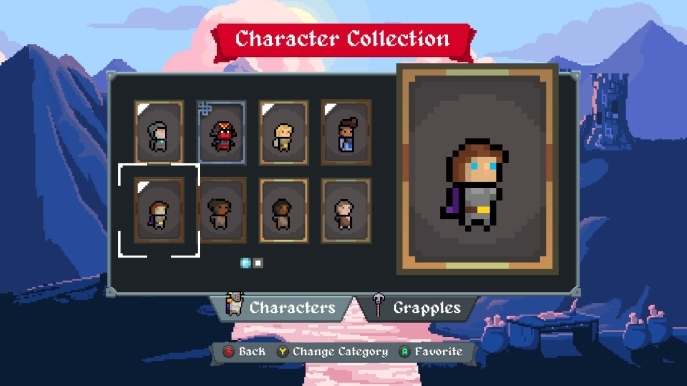 The gameplay loop for a single player consists of playing a game, seeing if you get enough points to unlock a loot box when you lose, and seeing what cosmetic character or grapple skin you get. I've seen a fairly good variety of characters – my favourite is a big bird with a magnet grappling hook (again, no effects, all cosmetic) – but I've unlocked ninjas and various random characters. I just think, there needs to be some identity or personality here. Maybe a character customiser, or possibly more backgrounds or board designs. It feels all very limiting. It's a shame, as I enjoy the game but there isn't a lot to bring me back. The price feels a little high for the amount of content here. 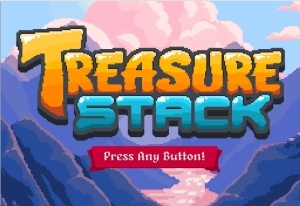 Treasure Stack is a game I'll come back to every now and then for a few games, but I really feel like there is so much potential lost. While enjoyable, the gameplay loop is just too limited for a single player.